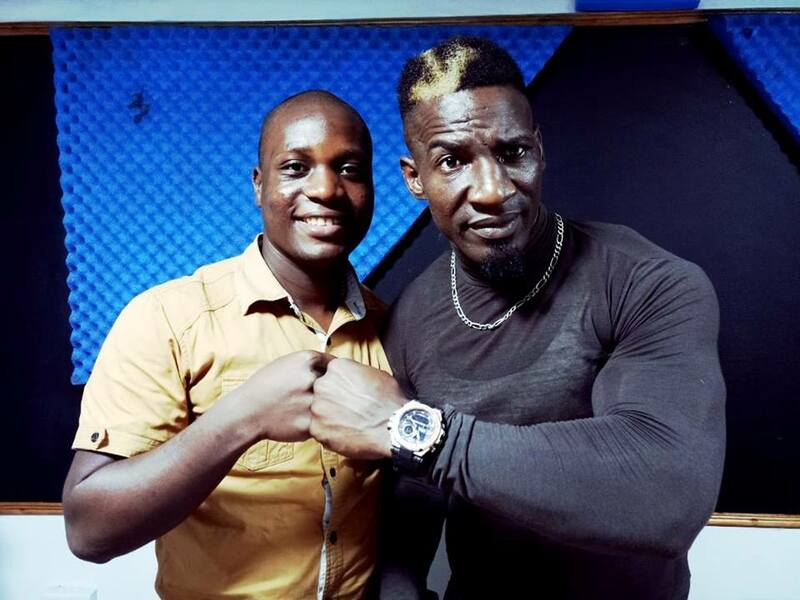 Last boxing day, motor mouthed kick boxer Moses Golola was supposed to be in the ring with a boxing challenge against a one Kizito Ongom better known as Kasumali but the fight didn’t happen with reports that latter ducked out due to an injury. However, latest is the confirmation by the fight promoter Eddie Gombya of Step by step promotions that all is now set for the battle to happen with the venue to be in the heart of Kampala. “We are yet to conclude on the venue but I assure fans from both camps that they will enjoy” he promised. The news left Golola excited with taking on the challenge, saying it has been over his head. 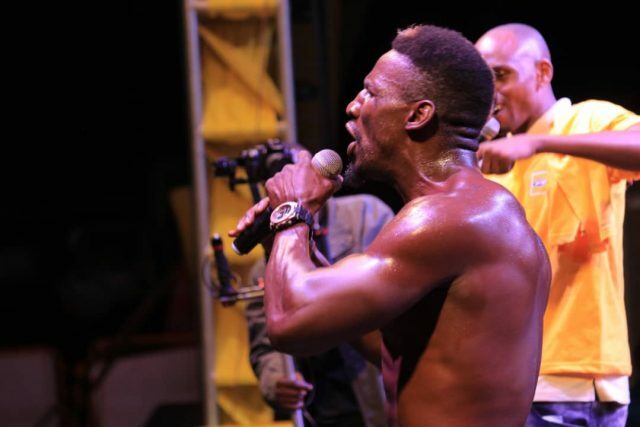 Yesterday, the kick boxing sensational with his team walked along the streets of NAKASERO issuing warnings to all those who think they can take a piece of him in the ring. “I have many fans in Kampala and the whole country. I had to come to the streets to make a public announcement on unfinished business. I had to fight Kasumali on boxing day but he failed to make weight. He is one of the fighters I have to clear from my way as i embark on building a strong boxing career in addition to kick boxing. ” Golola shouted!! 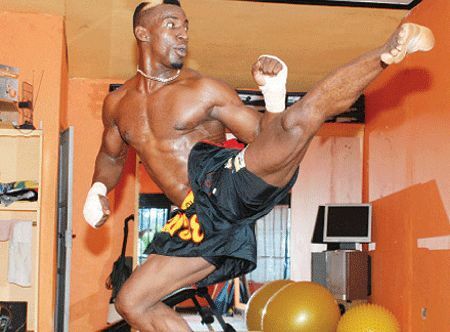 Moses Golola is respected as the man who raised the profile of Kick boxing in Uganda with his skills in the ring, jokes outside the ring and trolls against his opponents though he has opted for boxing of recent, a career he started with during his youthful days. This will be his sixth boxing challenge in two years while kizito will be in his fourth contest. Golola beat Egyptian Abdu Karim at Hilton Hotel, Nakasero in his last boxing fight last year.